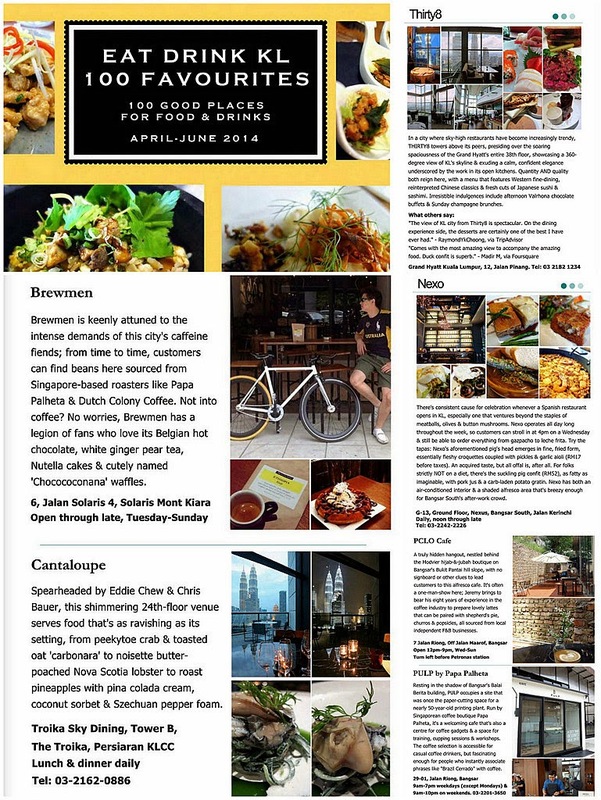 Featuring Colombian coffee in uncommon preparations & an imaginative menu created by chef Nathalie Arbefeuille, this Colombian coffeehouse chain has opened its first Malaysian branch at The Intermark. This one could be a big, buzzy hit. This Kuala Lumpur outpost is reputedly also the first Juan Valdez Cafe in Southeast Asia; it's a supremely photogenic hangout, colourfully spacious with beautiful flourishes, helmed by a helpfully friendly team. The Juan Valdez chain was created by Colombia's National Federation of Coffee Growers to promote their country's beans; through fair-trade policies, Juan Valdez's customers supposedly support some 500,000 farmers who grow their coffee on small farms. 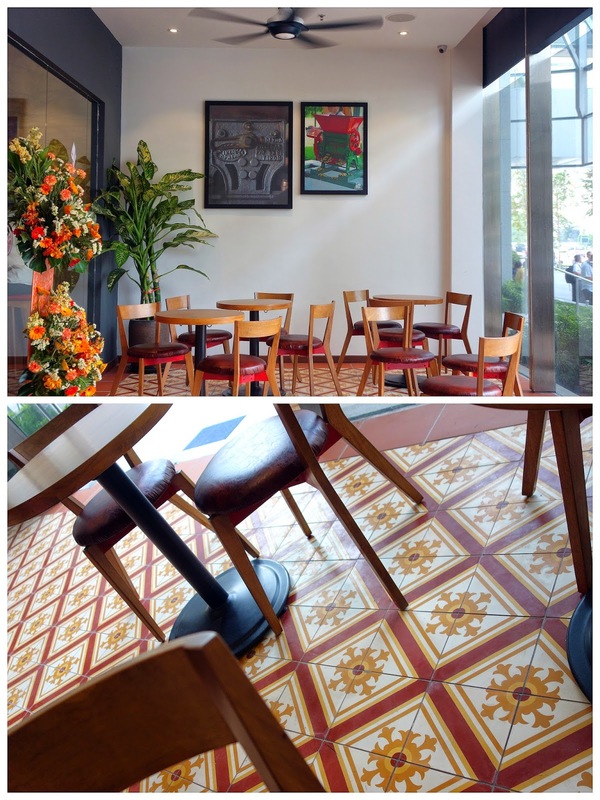 The menu here is uniquely designed for this Malaysian branch, comprising European & South American elements. The lovably luscious salmon blini works wonderfully as a refreshing snack; certainly not cheap for RM10 per piece (especially when each piece can be finished in one mouthful), but this is top-notch. Pretty soon, Juan Valdez Cafe will also feature other tapas such as foie gras cremeaux on ginger bread & cod fish brandade tartine. April 5 update: More recipes are now available. We really like this salad, generously laden with luscious avocado slices, plus a runny mollet egg, artichokes, marinated salmon gravlax, mesclun, chives & parmesan, as well as excellent bread rolls (RM28). 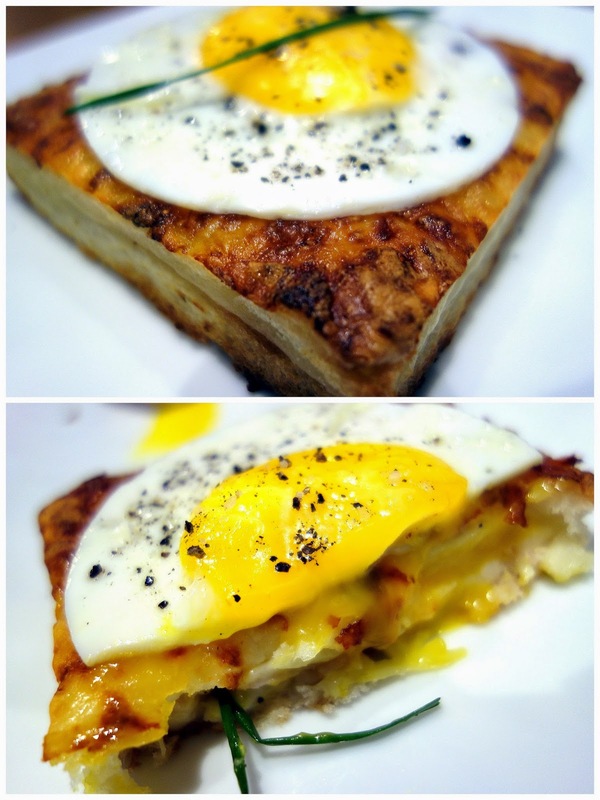 Juan Valdez's interpretation of the croque-monsieur looks simple but tastes stellar, featuring crafted toast bread with fresh, warm & buttery pastry-like layers (excellent) that conceal emmental cheese & turkey ham, topped with the perfect sunny-side-up. Sure, it's costly for RM20, but it's absolutely delicious, with a type of toast (dare we say 'artisanal toast') that's not often seen. Also astonishingly addictive: A savoury salad that's more sinful than virtuous, packed with gorgonzola cromesquis, parmesan croutons, toasted brioche fingers, bresaola, pears, chervils & chives (RM24). Love it. Another unique creation, prettily presented: Seven layers of refried beans, taco seasoning, sour cream, guacamole salsa, lettuce, blended cheese, sliced olives & tomatoes, served with fried corn tortillas. RM26. ... or fluffy pancakes with dulce de leche, maple syrup & whipped cream (RM18). The coffee? Juan Valdez uses beans from the Colombian coffee regions of Huila, Cauca & Santander, brewed by syphon, French press, chemex or dripper V60. For something that's meant to be quintessentially Colombian though and more affordable, there's tinto (basically black coffee, RM8.50 for 9oz) with panela (whole cane sugar) for a light sweetness. Might provoke contentious debate; some might like this, some certainly won't. 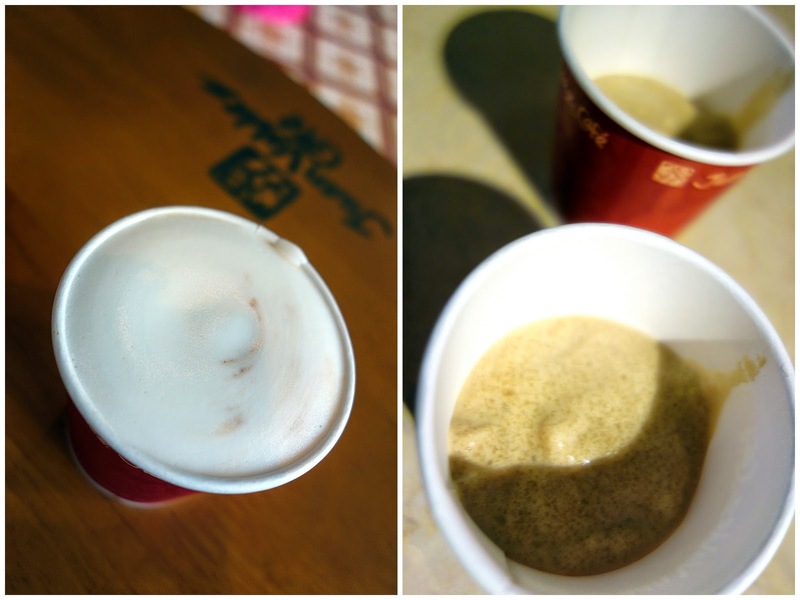 Macchiato with a hint of milk caramel, alongside the South American traditional 'granizado' crushed-ice beverage. If nothing else, Juan Valdez's offerings are distinctive, a trait that should always be appreciated. Beans & macarons for takeaway; here's hoping more branches of Juan Valdez will sprout all over Malaysia in the years ahead. P.S. Juan Valdez might be in the process of securing a liquor license. Crossing our fingers. Nice smile, that guy on the wall! :D Hmmmm....I think I'll go and heat up my leftover pancakes now. Slurpsss!!!!! Very delicious morsels of food! I like the concept, haven't been to the Intermark in a while. Haha! I remember it coz the name sounds quite complex on TV. Thanks Sean! Pretty sign, Sean, and I love the red wall! any comment for the ambience?? Do u know if they open on Sundays? Is it a Halal restaurant? Good place for Lunch? Can make reservation? The pic above make me hungry. I'll make an order at Juan Valdez Cafe someday.